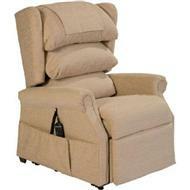 Ambassador Rise and Recline Chair Lift And Tilt. The Ambassador is a top of the range dual motor rise and recline chair which makes sitting and standing so much easier with its smooth lift and tilt action. The benefits of a dual motor rise and recline are in the additional options and positions that can be achieved. Feel rested by lowering the back angle, move the leg rest or back rest independently. With this rise and recline chair, when the leg rest is raised on its own the seat base automatically tilts slightly to maintain the correct seating position. As the manufacturer says “With all the benefits of the MaxicomfortTM zero gravity position, the body experiences an absolute minimum of internal and external stresses. Experience a feeling of weightlessness which promotes a feeling of well-being and total relaxation.” Of course, this rise and recline chair is also controlled by a simple-to-use handset which controls the smooth and quiet action. Simple buttons with clear diagrams and a side pocket to tuck the handset away in easy reach are quality touches to this top-of-the-range rise and recline chair. The Ambassador is now available in a choice of back styles - either choose between a classic three pillow Waterfall Back or Button Back. Brisa is a technologically advanced material, introducing a whole standard for style, comfort anddurability. No material comes close to the natural aesthetics of genuine leather . There is nothing softer than Brisa. 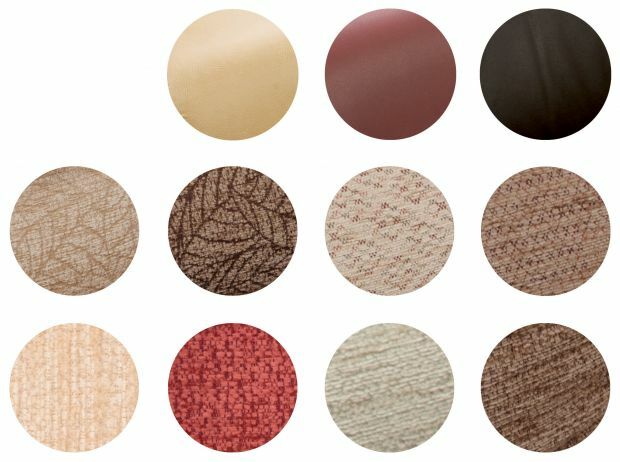 Brisa offers real advantages over leather through its unique climate control technology that resists temperature change and allows the material to breath, keeping you comfortable at all times. Please Note: Waterfall Back colour options Herringbone Oyster and Herringbone Cocoa are made to order and are usually available within 4-5 weeks. All other colour options are stock items, available for immediate delivery. 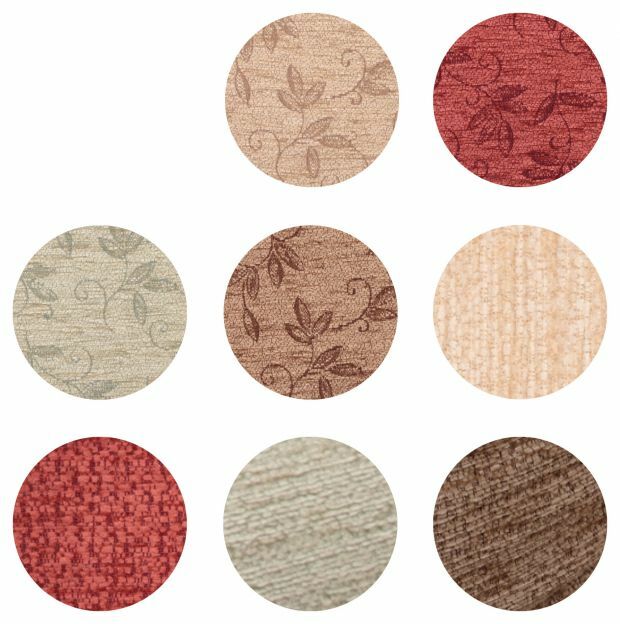 Please Note: Button Back colour options Leaf Oyster, Leaf Cocoa, Seasons Oyster, Seasons Rose, Seasons Evergreen and Seasons Cocoa are stock items, available for immediate delivery. All other colour options are made to order and are usually available within 4-5 weeks. I have only had the new chair for a week. It's very comfortable. Reluctant to move the positions of the recline function as getting back to original position might take a bit of time Good purchase, impressed with Active customer service. Standing up from sitting is so easy because of the height of the seat.